Can you see the potential in this decommissioned railroad right-of-way on NW Front? 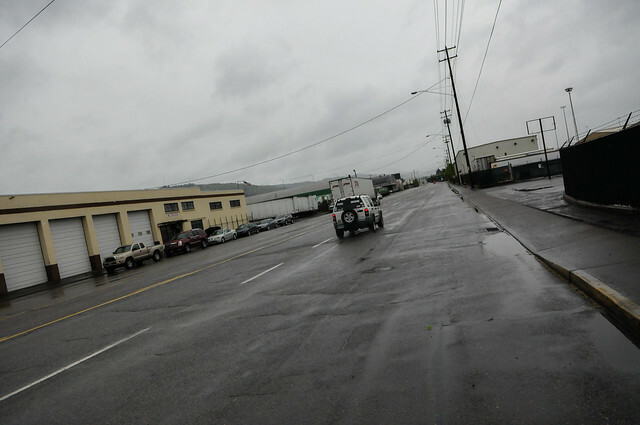 I’m not going to sugarcoat it: riding a bike in the Northwest Industrial District is not for the faint of heart. I enjoy it only in an Escape-from-New-York-get-my-adrenaline-pumping-urban-assault kind of way. But if you stop and look and allow yourself to dream you can see vast potential. The wide streets — some of which are 80-90 feet across — could be transformed into world-class multi-modal thoroughfares where people are able to walk, bike, and take transit safely and efficiently alongside people driving cars and trucks. 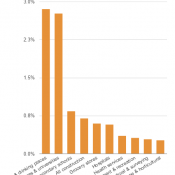 This part of Portland hosts a diverse range of jobs. 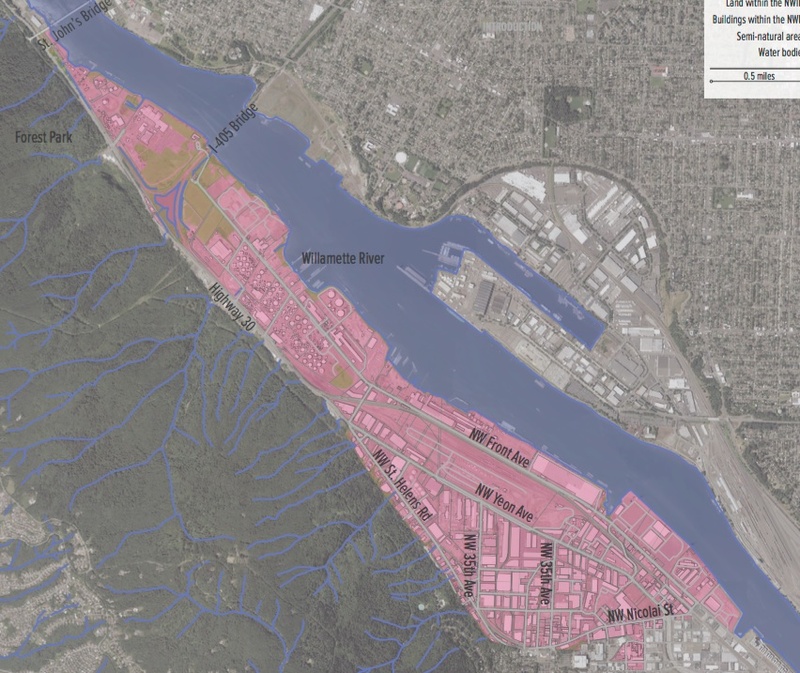 The 1,700 acres accounted for nearly 16,000 jobs in 2002 (via City of Portland Bureau of Planning report, PDF). Since then some of the major manufacturing jobs in the steel and wood products industries have gone away but there are newer jobs in the district thanks to companies like Powell’s Books (who operates their main warehouse in the district), King Cycle Group (Chris King Precision Components and Cielo Cycles, run out of a former Folger’s Coffee warehouse), Schoolhouse Electric Supply, and many others. There are hundreds of business located in the northwest industrial area. It’s a shame we haven’t made it a nicer place to bike in. Given its proximity to the central city, major freeways, Union Station, and public transit hubs, there could be a lot more people bicycling to and from all those jobs. Rolling out on NW Front Avenue this morning I was struck at how wide the roadway is. I’d guess it’s between 80 and 90-feet wide for the entire two miles or so between the Broadway Bridge and NW 26th. That’s a wide right lane. I wonder what else we could do with that space. Hmmm. These workers at Sulzer-Bingham deserve other options to get to work. Looking south on Front at 26th. There’s a strong case to be made for protected bikeways and even grade-separated cycling paths on Front. 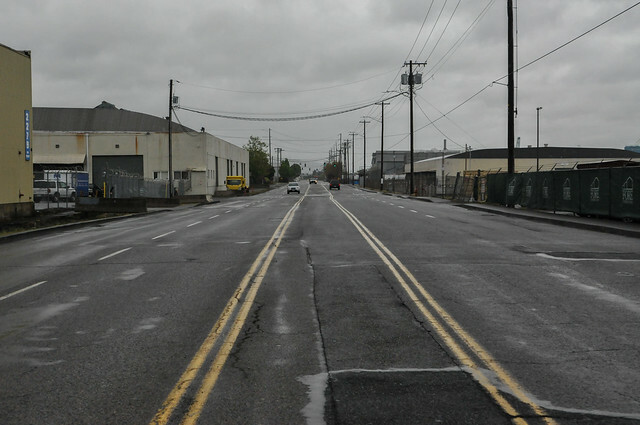 Not only is there room in the roadway, but there are also miles of abandoned rails that run directly adjacent to it. Imagine a few park-and-ride lots near freeways just outside the central city core with great bike parking, bike share stations, and public transit lines radiating out on the major Northwest Industrial District streets like Front, NW Yeon, NW Nicolai, NW 29th, Highway 30, and so on. 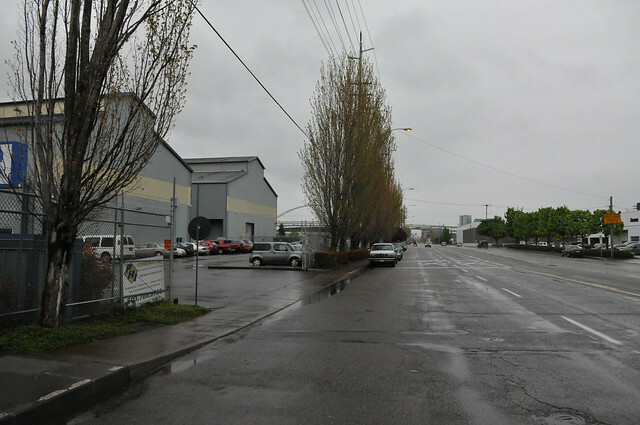 According to a 2015 Portland State University Masters in Urban Planning student report, Getting Green to Work in the Northwest Industrial District, 46 percent of workers in this industrial area live within 10 miles of their job. 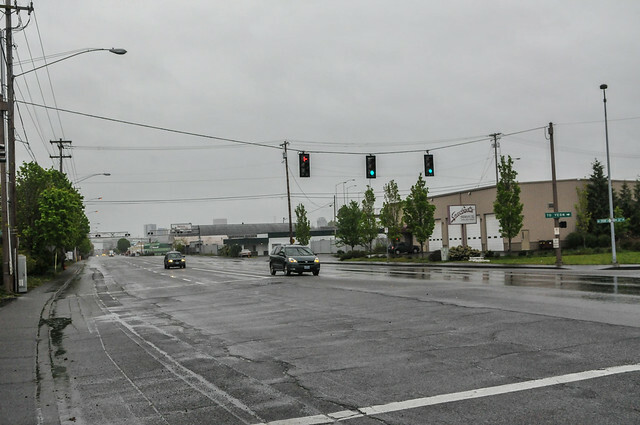 If you think building cycle tracks in this industrial sanctuary is a crazy idea, you might be interested to know that the City of Portland has already done it. Sort of. 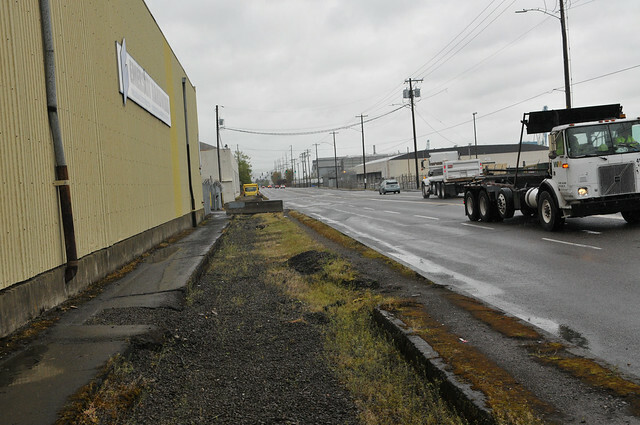 You might recall in 2009 when we reported that the Bureau of Transportation seized an opportunity to pave over a stretch of defunct railroad right-of-way on NW Nicolai. They never signed or marked it as a bike path, and you won’t find it on Metro’s Bike There map, but the result is a very smooth stretch of pavement that works perfectly as a bike path. 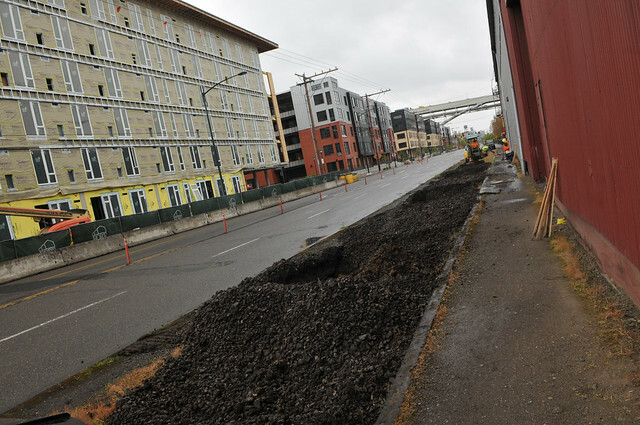 Raised and paved path on NW Nicolai where railroad tracks used to be. Nice path separated from motor vehicle traffic at NW Nicolai and 29th. We could do the same on NW Front. And the report also recommended the removal of old railroad tracks that cross at angles less than 45-degrees. 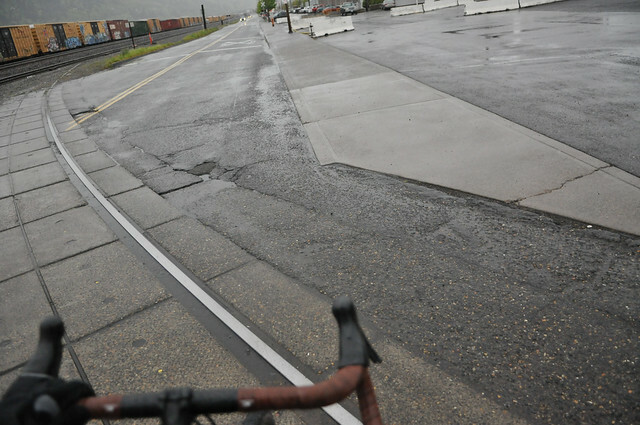 “While decommissioned tracks add character to the industrial district, they also create hazards for cyclists when crossed at small angles because the gap between the track and pavement ‘catches’ bike tires,” the authors wrote. Tricky track crossings are all over the place in the NW Industrial District. And if you think the rough-and-tumble workers at many of these industrial warehouse jobs won’t ride bikes, re-read my 2010 report about how workers at a shipyard on Swan Island get around. 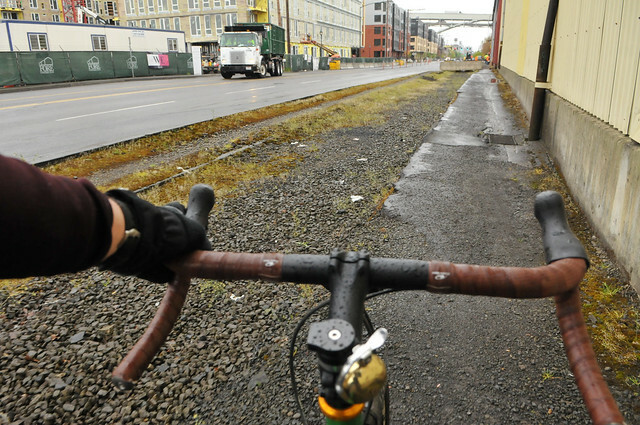 Adding protected bikeways on a few key streets and paving over the many other pieces of unused railroad tracks could do wonders for biking in the Northwest Industrial Area. And I haven’t even mentioned the other important bicycle use in this area: people who ride through it on the way to training and fun rides in Forest Park, the West Hills, and other rural destinations to the north. 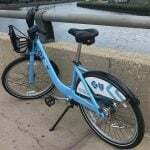 Do you bike to work in the Northwest Industrial Area? Or perhaps you bike through it on your way to other destinations? If so, we’d love to hear your thoughts. I use Front street all the time to get further into NW as it’s by far the fastest route, and generally the traffic isn’t bad, even during rush hour… and as I was riding up there yesterday I was wondering with the explosion of condos and apartments along the water front, how much busier Front will become, and if it will soon become un-bikeable. That’s an interesting question. I think density is generally good for biking and walking because density brings people closer to places they want to go. On the other hand, for people who currently use Front Street as mainly a commute route, having more people and development near by will probably make it a busier street. People in my neighborhood have similar concerns regarding a zoning amendment that will rezone N Fremont as mixed-use, claiming that having more commercial activity on the street will make it unsafe. But there are many ways to reduce traffic risks while adding density and activity. With a combination of street design that prioritize people walking and biking and policy that discourage driving and better parking management, it is totally feasible to turn under-utilized streets into safe and vibrant places. 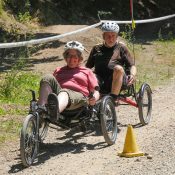 There is a cheap and simple solution to this set of problems, and it has two pedals. Although, heavy truck traffic in industrial areas is a huge barrier to cycling. And the city won’t build any cycle paths because they create barriers to truck traffic. It’s a catch-22. Agreed. Came here to comment that we shouldn’t lose sight that many of these roads are most frequently used by freight vehicles. Any cycling improvements will need to be very removed from existing main roads and potentially even elevated to ensure safe passage around rail / major shipping yards. One thing that could help drive a larger investment in this area would be tying it to further improvements out HWY 30 for recreational cyclists. I rarely ride it due to living in Beaverton but occasionally driving thru this area am amazed at the conditions that cyclists put up with to get to St Johns / Sauvies. Would think that an improved, removed, protected cycleway from NW / Pearl all the way to St Johns bridge could incorporate and justify improvements for commuters in industrial area. In what ways is it a huge barrier? I might understand in a rural environment, but these are wide roads with extra lanes. Most people do not want to share space with 55 foot trucks. It’s intimidating, loud, and uncomfortable. Are the railway line that cross NW Yeon in active use? yes they are. Several businesses switch cars daily, or often. Those crossings that are no longer used have been eliminated. Besides maintenance costs,etc, they require hazmat loads and certain vehicles to stop at each crossing, which is regarded as an impediment. The tracks on NW 15th Ave have been used for decades, and are no longer connected to the mainline. Where NW Pettygrove approaches approaches NW 15th there are warnings about the railway crossing. None of the other streets have the same warning. It’s even been repainted in recent years. Why is it there? Front Ave is crying out for a bikelane. They wouldn’t need to do anything other than put down some paint. The lanes are wide enough for sure. Never knew about NW Nicolai having a cycletrack of sorts. Might help if they’d installed some thermoplastic sharrows or similar? 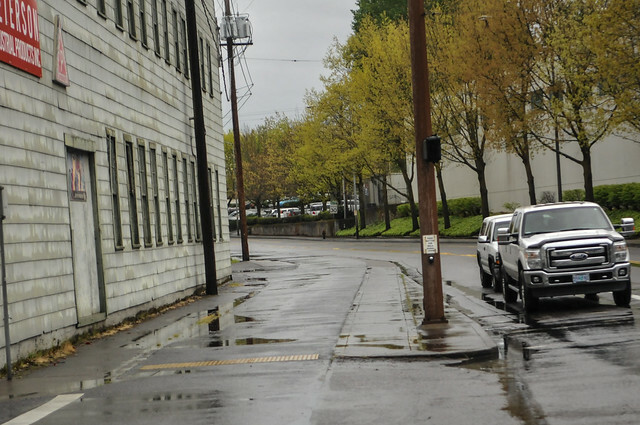 PBOT should definitely paint some bike stencils on that cycle path on Nicolai. Sorry, but that’s not a cycle path. It’s used for parking. As far as I can tell, it was never intended for any other use. I frequently use Front from the Pearl to hit 30 via Kittridge. When the tracks are wet I find the angle to be a bit too sketch heading into the Pearl via Front (I stay high on St. Helens). Too, the road feels more jarring and I am freight buzzed more often heading toward the Pearl. Hard hat and work boots? Is that a joke? The bridge labeled I-405 (Fremont) is actually just a BNSF rail bridge. Fremont is just to the SE, just past the bottom right corner. That map has NW 35th on there twice, too. The one to the east should be NW 29th. That BNSF bridge also carries Amtrak trains: the Empire Builder to Chicago via Vancouver and Spokane, WA; the Cascades between Ssattle and Eugene; and the West Coast Srarlight between Seattle, SF, and LA. 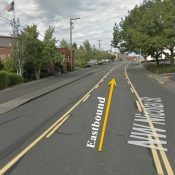 Some have suggested the idea of adding a ped / bike crossing to it, or building a new crossing next to it for that purpose, connecting NW with The Northside of the City. Hopefully that will happen someday. The correct name of the bridge is BNSF 5.1, if I remember correctly. I support where you are going with this, but regarding that last picture- I think that’s a faux motorcycle helmet, not a hard-hat, and they look more like fashion boots than actual steel-toe workboots. Hopefully the gent in question will chime in. I had the same thought, Josh G. 🙂 Industrial chic! I was just about to ask about that classy helmet, as I’ll be visiting several power plants all over the globe and need one that’s ANSI rated and doesn’t conduct electricity. 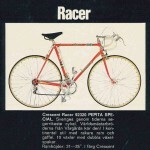 (I’d also use it while riding to the few sites that I’ve identified I can get to by bike rent/share). You’ve got the railway cut marked as the I-405 bridge. That rail bridge is listed on the 2015 npGREENWAY vision map as a proposed alignment to connect the npGREENWAY to the north end of the industrial section. Of course BN/SF would have to agree to it. Personally, I’d love to see something like that along with biking improvements in the NW industrial area. It would make my treks to NW much more tolerable. I frequently ride over Saltzman road to Skyline and over Kingston to the Zoo (headed toward Hillsboro in both cases). Riding the St. Johns Bridge at rush hour puts a serious dent in my motivation, and as much as I’d like to see protected cycling on the St. Johns Bridge, I doubt they’ll ever be considered due to the high traffic volumes and the historical nature of the bridge. 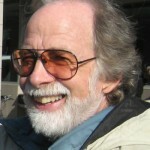 I have used NW Front as my fitness course for years out of SW Portland to St. John’s. For the most part, it’s nice to be so wide and visual. You need to signal, and heed the trucks, surfaces and crossings, but you usually aren’t dealing with too many wandering cel phone users, and uninformed motorists. Read the conditions and pedal away. Rearview mirror is a must. The widths help you deal with tracks and trucks and I give them wide berth, but they are usually very accommodating if you signal clearly. They are pro drivers and share the road in sensible ways. Now if they could do something about those swirly headwinds…. How can we quantify traffic changes in Industrial NW since the last century? Those streets seem quiet & overbuilt now but my memory of the 90s is that they were crammed with trucks, and I’d frequently get sidetracked waiting for freight cars being shuttled around. But what’s the plural of anecdote? Regardless I’d rather ride near commercial drivers than parents dropping kids off at school. I work on Nicolai directly across from the Clubhouse tavern. I think that big changes are in store in when ESCO closes it’s doors in the next year or so. That is a lot of new acreage that’s about to open up very near a lot of condo and apartment building projects. 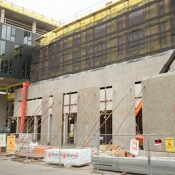 I’m not sure what sorts of machinations are in play between our city council and developers who are surely salivating at the thought of oodles of bare land not only within the UGB, but close to the Pearl, but realistically, this has the potential to drastically change the face of NW Portland. ESCO is trying to get their property re-designated from Heavy Industrial to Mixed Employment. That would give them a lot more opportunity to redevelop the site, either as another industrial use or as office, but wouldn’t allow them to build residential uses on the site. Man, it would be great if this site offered uses the ability to edit their comments. Grammar, typos, cut and paste errors. I sometimes don’t see ’em until I’ve posted. Sounds like the only problem is the advocates wanting to narrow the lanes with paint and throw cyclists into the the right-hook zones. 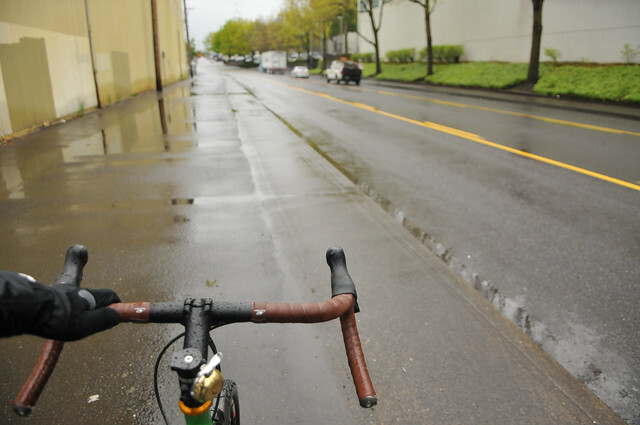 NW is a great place to bike & commute, I’ve been riding Front Ave to the end for 17 years. It’s much better now as several unused tracks have been removed over the years. The Southbound stretch along Gunderson is narrow enough to make it sketchy on the afternoon commute, but traffic is generally light. Front street (I think it’s still that after 9th) is wide for a reason, there is some big industry up there is Port of Portlands Terminal 2 (though honestly not sure it’s still in operation), Gundersons and the train yard. All of which likely often see very large and wide loads coming and going. I doubt if we’re going to see Gundersons move out anytime soon, they make and repair train cars and barges. They are likely going to be very busy with the upcoming Willamette clean up (they make and repair barges and train cars), even though they’re likely going to have to pay for a decent sized chunk of it as well. 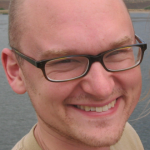 +1 for editing…cut and paste victim #2! Hey, this reminds me of a place I used to work, Swan Island! Why not a TMA to lead the fight for transportation options in NW Industrial and make more room for freight! Yes, the obstacle to moving freight on Swan Island, in NW Industrial, and on the freeway network is too many SOVs, especially in the peak hours.